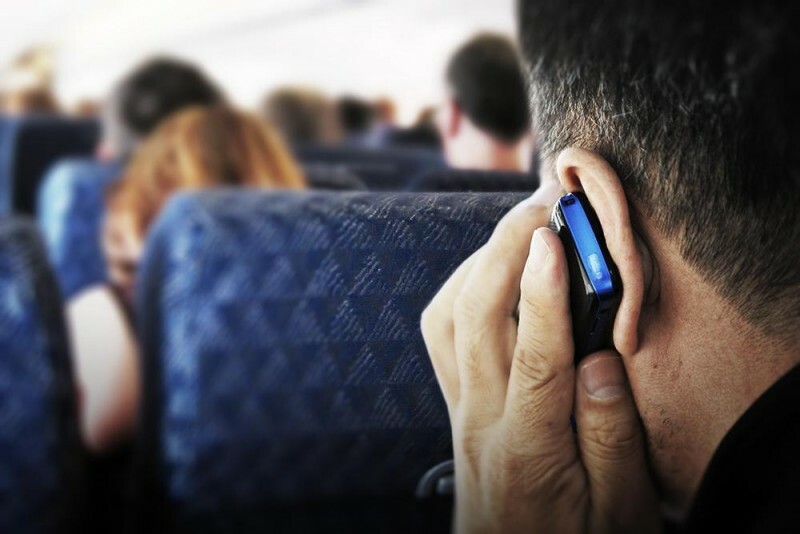 Although the Federal Communications Commission seems to be okay with the idea of passengers making cell phone calls on airplanes, the Department of Transportation (DOT) is reportedly pushing for a ban on it. The reason is not passenger safety, it is the disruptive effects of voice calls they're concerned about. The government agency has plans to publish a notice of proposed rule making (NPRM) about in-flight calls in early December, and open it for public comments until February 2015. As per the report, the notice will detail the reason why the agency wants in-flight calls to be banned. "At this point, there is no final determination as to what the NPRM will say, let alone a final rule," a DOT spokesperson said. The news comes nearly a year after the Federal Aviation Administration (FAA) concluded that it is safe for travelers to use hand-held electronic devices like smartphones, tablets and e-readers during all portions of a flight from take off to landing. However, that did not include making or receiving phone calls. Shortly thereafter, the FCC had said that it doesn't see any safety-related reasons to block the use of cellular services during airline flights. On the other hand, airlines are opposed to a blanket ban, and argue the Transportation Department is overstepping its bounds. They want the government to let them decide how cellphones are used in flight, with some of them considering options such as phone booth-like areas where calls could be made without disrupting other passengers. The Transportation Department has said it would pursue the ban on consumer-protection grounds, adding that it has the authority to force a ban because it has been tasked with ensuring airlines offer safe and adequate services. According to the report, if the DOT moves ahead with a voice call ban, it could override any FCC rule change.